A place to play with texture.. 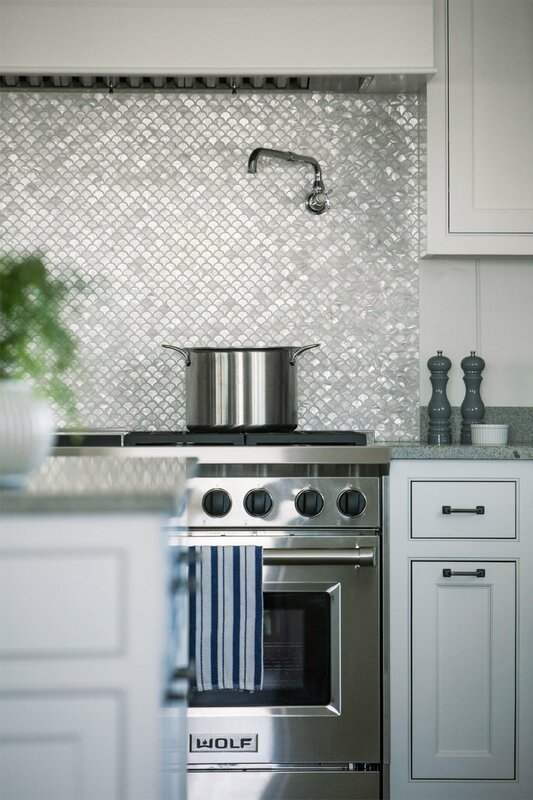 Whether exciting or subtle, a backsplash is a cornerstone element of a well designed kitchen. We’ve been able to play with a few different styles in recent projects that are subtle, textured, and unique. 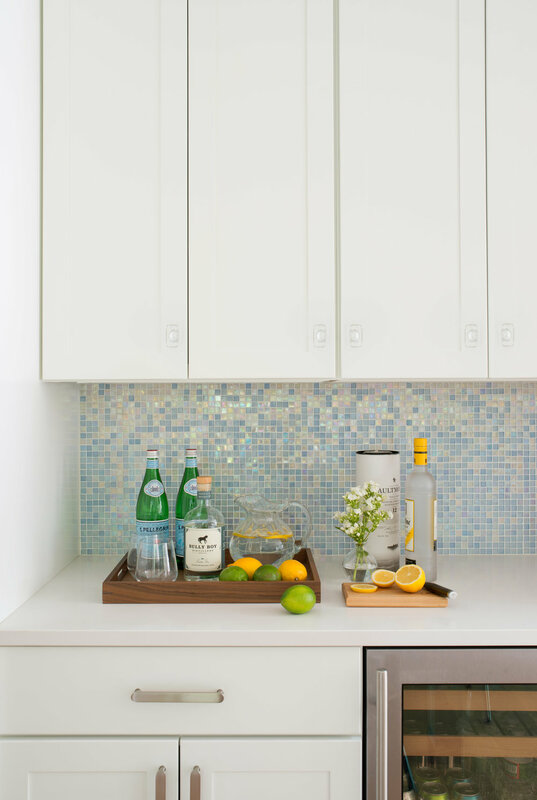 A smaller size tile is great for a larger surface area. When you have a bright white kitchen that brings in a lot of natural light it can be fun to take advantage of that sunshine. 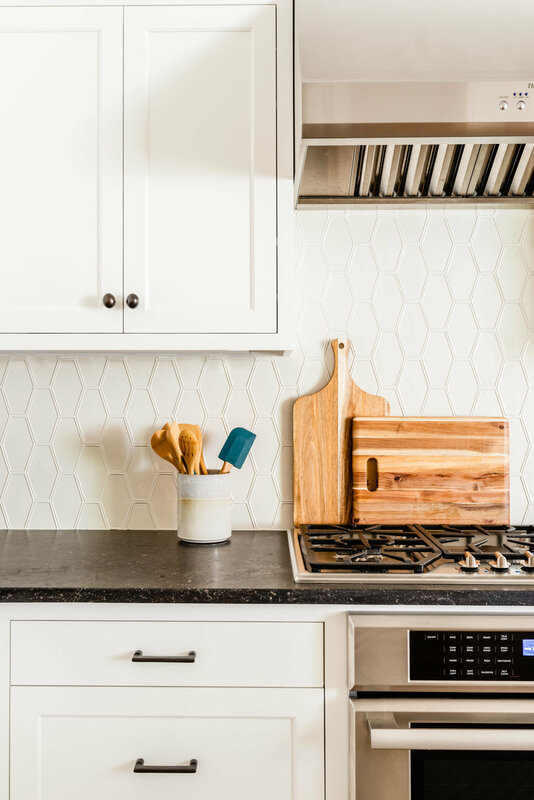 In a few spaces we chose a backsplash option that has a bit of shine in its finish to draw attention to the heart of a kitchen / dining space : the stove and bar! Our city farmhouse kitchen was an exciting design. There were so many daring design decisions that make this kitchen a defining space for me. We worked with contrast here to give the idea of a kitchen backsplash an industrial but modern life. And to introduce a kitchen with no cabinets above the sink or stove, was a total risk! Our client wanted to implement an industrial look and feel. So, our goal became adding history to a newly constructed home without making it feel like it was confusing new and old. We white washed the brick to complement the white walls in the kitchen and furthered the industrial feel by painting the wood framed window black to appear like iron. Want to see more of these projects? Take a look at our portfolio! A Project Evolves, Chestnut Hill Kitchen Reveal!